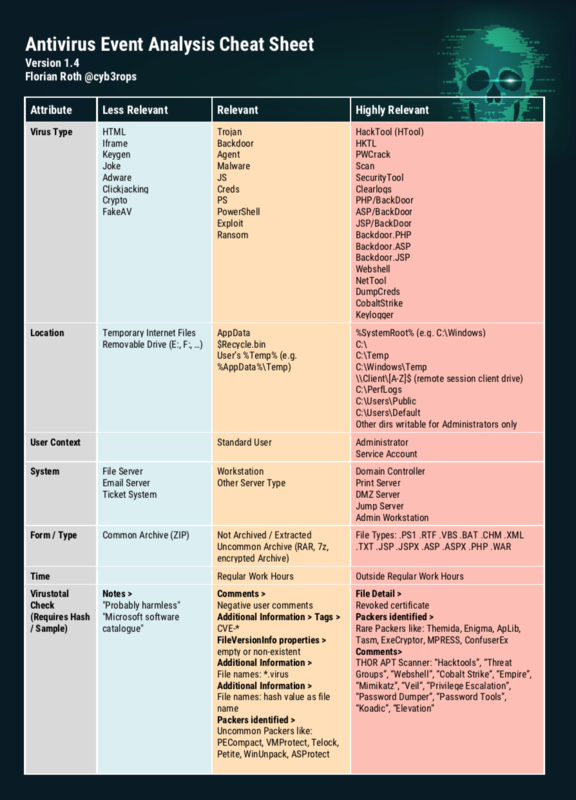 Download the newest version of our Antivirus Event Analysis Cheat Sheet here. 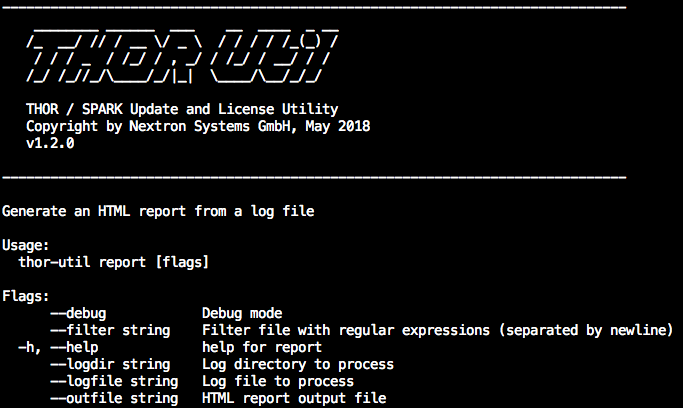 Thanks to Markus Neis, I’ve updated version 1.4 and created a version 1.5 just a few hours after my tweet. You can download version 1.5 here. 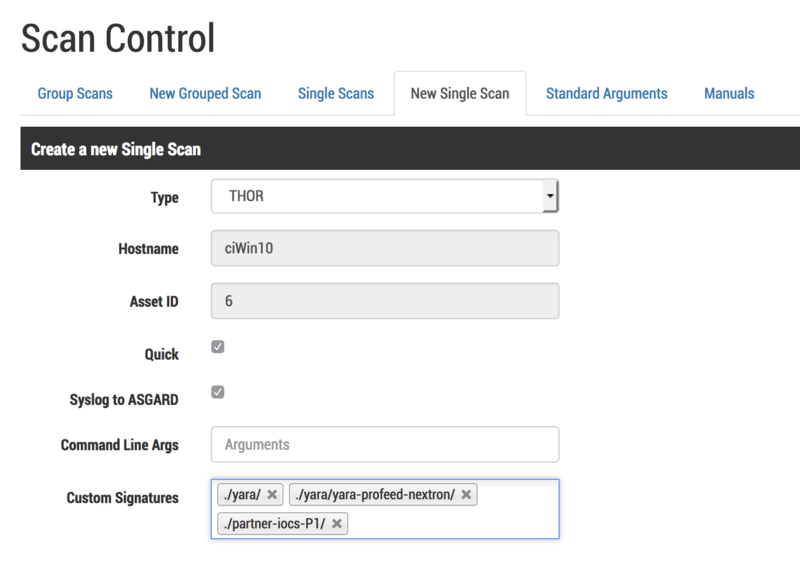 The new SPARK v1.14.16 supports the sample quarantine protocol named Bifrost. 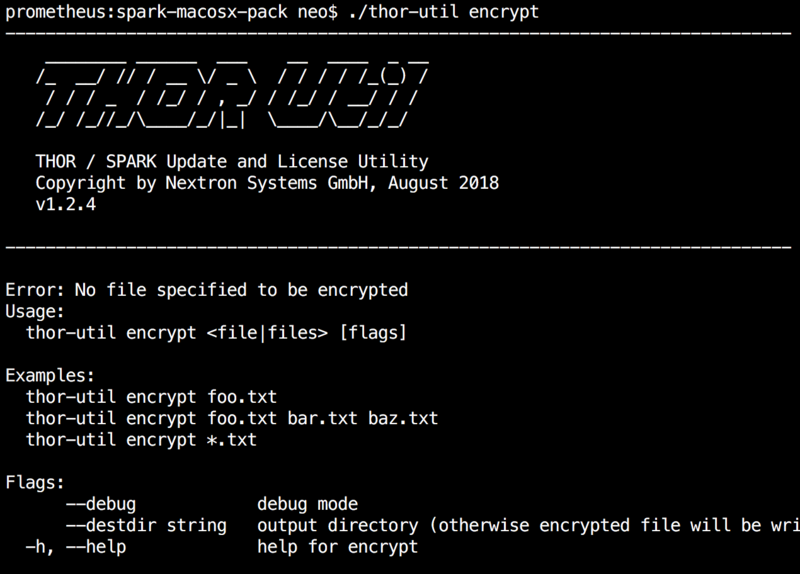 With Bifrost you’re able to send suspicious samples that THOR or SPARK detect on endpoints directly to a central server for analysis. 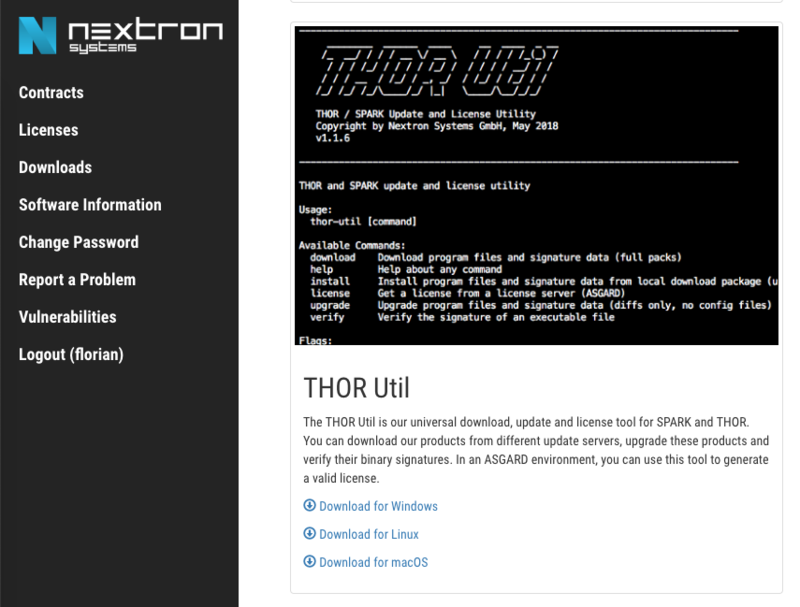 You can also activate the Bifrost server on our ASGARD platform. All samples that have a score higher than the given limit are dropped into a given directory and are available for further post-processing – e.g. drop them into a sandbox or static analysis. 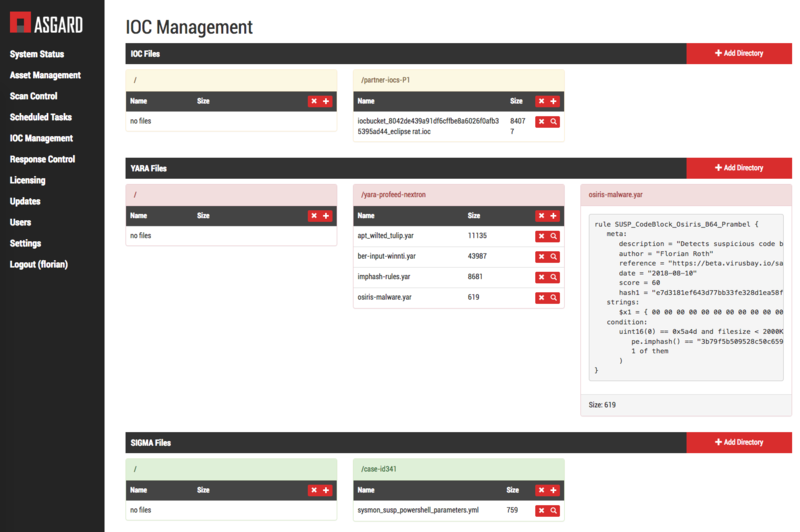 Sigma is a rule format for threat detection in log files. 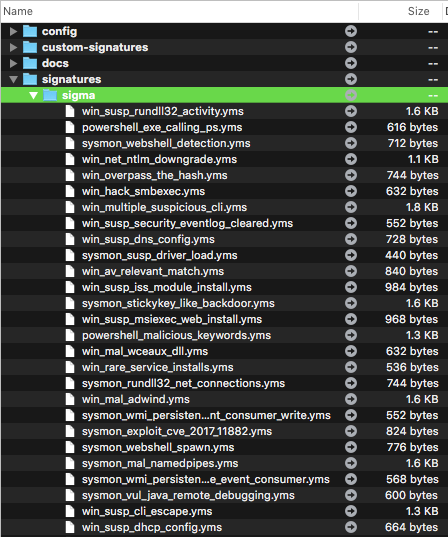 It is for log data what “Snort rules” are for network traffic or “YARA signatures” are for file data. It is easy to write and read. Writing a Sigma rule is a matter of minutes. 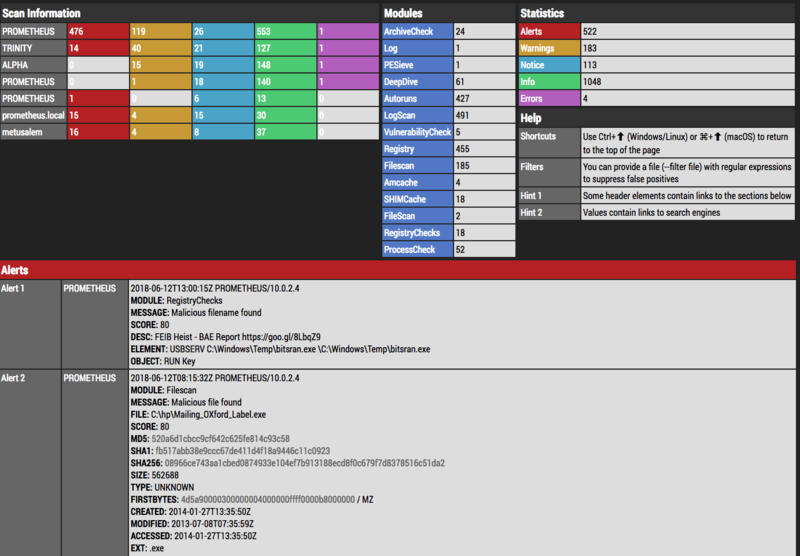 On the right you can see a simple Sigma rule that checks the “System” eventlog for traces of password dumper activity. The detection section contains 1+ identifiers (selection, keywords, quarkspwdump) that can be defined freely by the rule author. These selectors are used in the condition to build the rule. It also contains a description, references, possible false positives and a level. 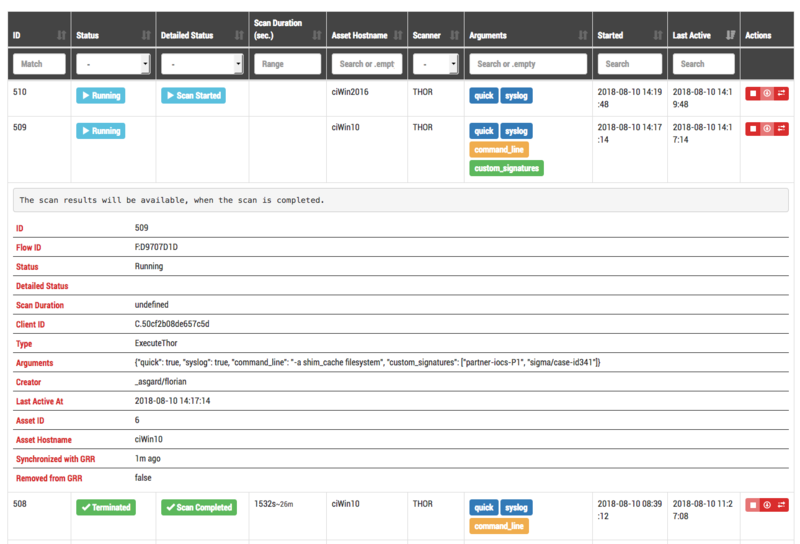 Analysts use Sigma to generate search queries for their SIEM or log management solution. 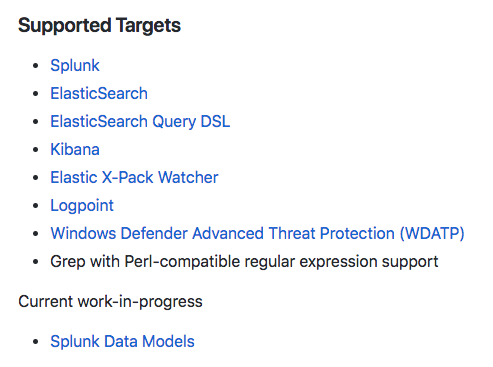 The Sigma repo contains a converter that allows to convert the generic rules to ElasticSearch, Splunk, QRadar, Logpoint, Windows Defender ATP (WDATP) and ArcSight. Wouldn’t it be great if you could apply Sigma rules on the endpoint? 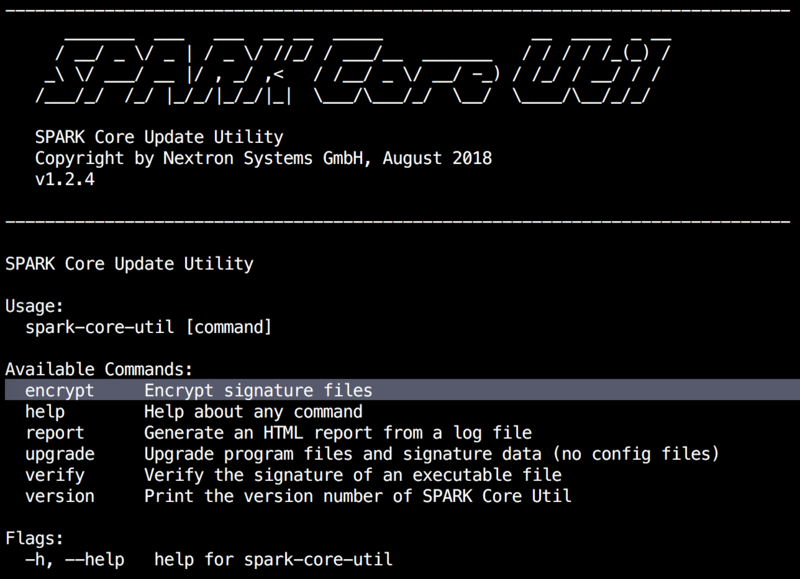 Well, the upcoming version 1.14 of SPARK, which will be released at the end of July, does that. 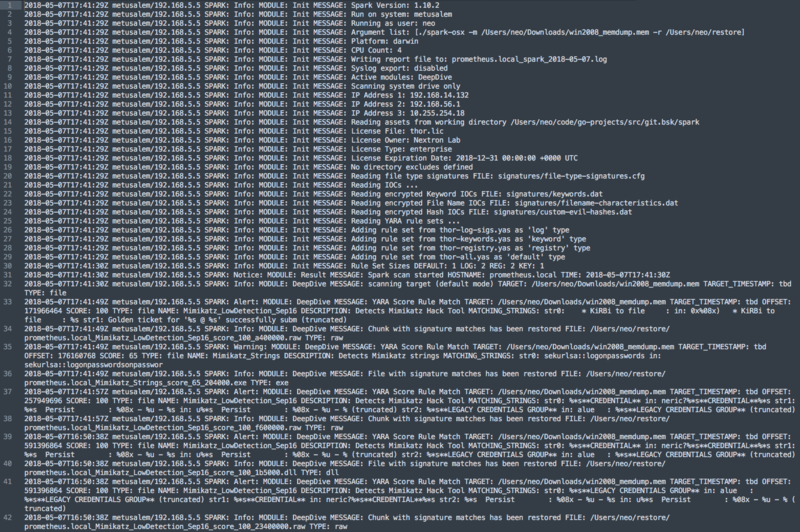 It applies Sigma rules to the local Eventlog. 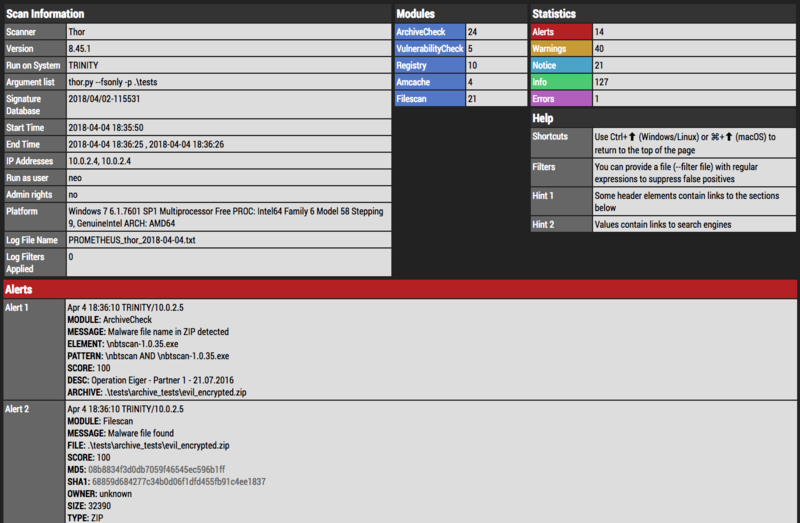 This way you’re able to apply searches that you have once defined for your SIEM to the local Eventlogs. 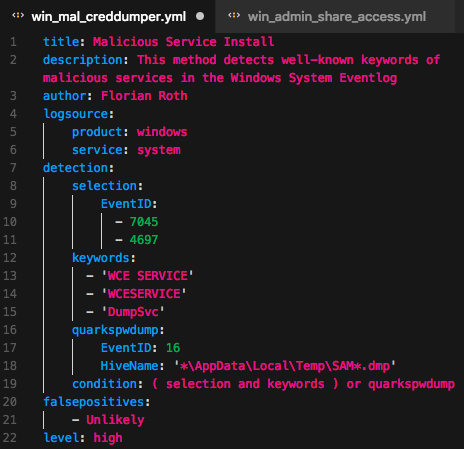 This way you are able “query” the standalone systems that are not connected to your SIEM and uncover otherwise common blind spots in your environment. You can add your own Sigma rules to the “./custom-signatures/sigma/” folder in the SPARK program directory. To activate Sigma scanning, use the new “–sigma” parameter. Currently only SPARK supports this feature and there are no plans to implement this in THOR as well. The feature is currently free for all customers but may become a premium feature that has to be licensed separately by the end of the year depending on the customer’s plan. See the comparison table for a complete overview on all features. I’ve collected some interesting samples for an internal YARA rule creation training session with our interns. With this blog post, I’ll also share 3 new premium feed YARA rules by pushing them to the Open Source signature-base repo. What are the the preliminary conditions for the rule creation? We don’t want to to spend more than 20 minutes for a single rule. So, get ready. We process the following 3 cases. Don’t check the solution before you’ve created your own rules. Remember, there is no single correct solution to this task. Your rules may be better than mine. If that’s the case, please share them with me 😄.